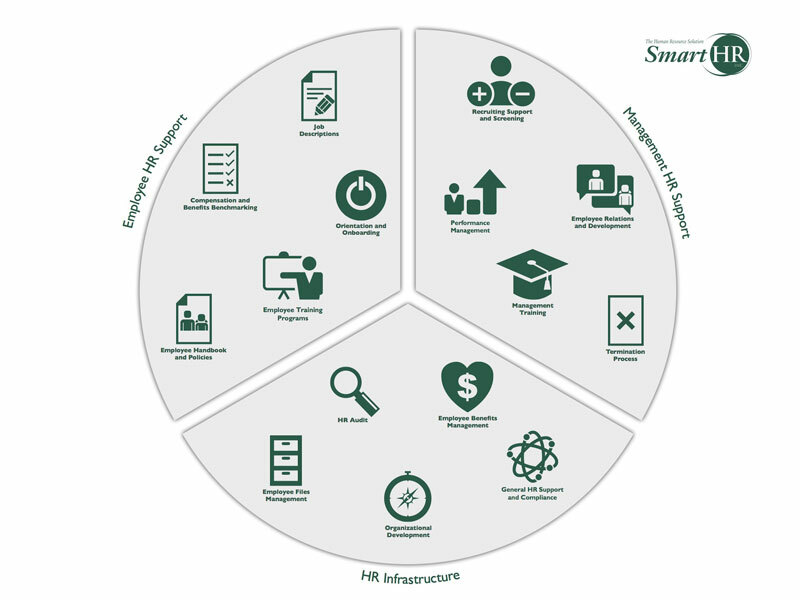 Smart HR provides expert HR management to organizations based in the DC metro area that have between 10 and 150 employees. We customize HR solutions based on each client’s unique needs. Each client is paired with a Smart HR Consultant who serves as the HR Director for that client. Our Consultants are onsite at the client’s offices one or more days per week. They are available via email and cell phone when they are not at the client’s site. Smart HR Consultants support our client’s HR function with a combination of onsite and remote work. There are certain activities that require in person support while other HR activities are better handled remotely in a quiet place without interruption – such as writing policies or developing a performance review system. It is important for Smart HR Consultants to be onsite at least one day per week to be visible and available to staff. It is also necessary for the Smart HR Consultant to be part of the client’s management team so they can provide insight and they can be an effective champion of the client’s organizational goals and mission. We have been told by our clients that an added benefit of working with us is that we are a neutral third-party. Our HR industry insight from working with over 80 organizations enables us to provide a unique perspective to your employees and management team. This objectivity and experience enhances our credibility with your staff as a helpful resource. We recommend having quarterly status meetings with Smart HR Management to sync up and make adjustments if needed.